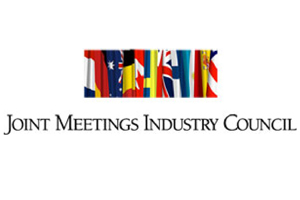 The Joint Meetings Industry Council (JMIC) is planning to strengthen its role as a voice for the global meetings industry. Belgium-based JMIC, which was set up in 1978 to act as a bridge between meetings associations around the world, has announced plans to establish itself as "an independent organisation with a permanent presence and an ongoing programme of industry advocacy". The JMIC is bringing together several international industry organisations and has also established partnerships with Imex and Reed Travel Exhibitions. JMIC president Leigh Harry said: "While we are an industry with many sectors and specialities, it is also important that we can present a strong and united front when the need arises, and our sense is that, given the challenges we are currently facing as an industry, that time is now. "JMIC is a well established forum for the industry, however, its potential has always been limited by the lack of an ongoing programme and an independent administration to ensure consistent action," he added. "Now, in the face of some significant challenges to the overall industry, we see a need to make JMIC a more effective representative."